Many questions can be answered on the FAQ section of our Membership Application page or on our club calendar. Please Contact Webmaster regarding any issues or questions regarding the WCGC.org website. 6620 to 6622 West Camino Cielo, Santa Barbara, CA 93105 will get you close. the San Marcos Pass (State highway 154) freeway exit. Go north up the pass to West Camino Cielo (approx. 7 miles). (stay to the left at the fork) for approximately 4 miles. 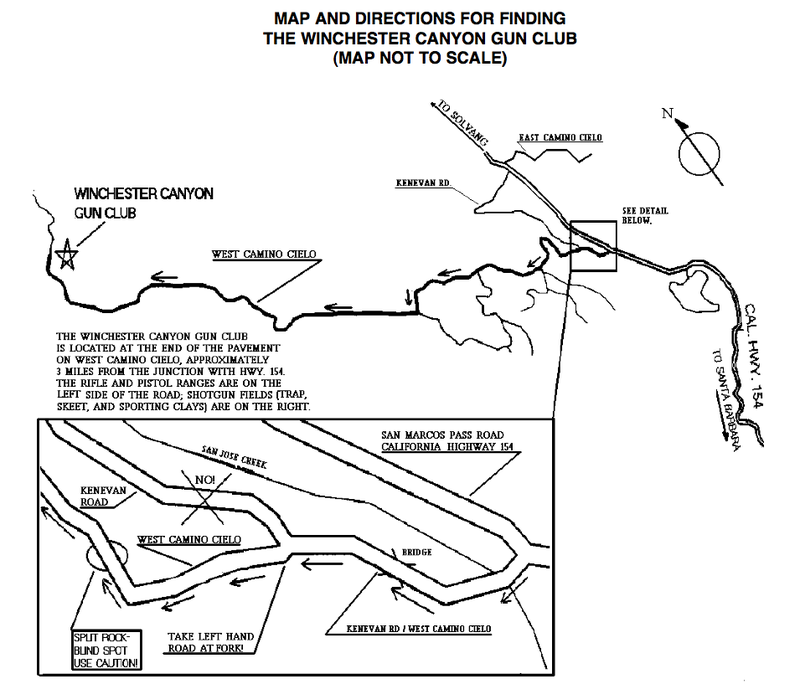 The gun club is located at the end of the paved road. the State Highway 154 freeway exit north of Buellton. Go south on 154 to West Camino Cielo (approx. 25 miles). (stay to the left at the fork) for approx. 4 miles.